I was born in Malaysia to Chinese parents. Both my parents became Christians because of British Open Brethren missionaries. We spoke English at home as both my parents were so educated. I gave my life to Christ when I was 14. My parents sent me to Australia for my university studies. I graduated from the Sydney University Law School and worked in Kuala Lumpur as a lawyer for 3 years. In 1988, I came to Vancouver to do theological studies at Regent College. I was blessed to become teaching assistant to Dr. J.I. Packer and did my theological comprehensive exams under him. Therefore the 5 slogans of the Reformation describe my theological convictions: Sola Gratia, Sola Fidé, Sola Scriptura, Solus Christus and Soli Deo Gloria. Having graduated from Regent, I have worked as a pastor in Vancouver, Brampton, Richmond Hill and Mississauga. I am married to Lorie and we have 2 children Esther and Luke. On November 7, 2016, I was blessed to start work as a pastor at St. Andrew’s Streetsville. Basically I see my calling as preaching, caring for people and equipping people to serve God in their lives. My core message is that God saves and God speaks. Look out for God in your life. Glenda was the Administrative Assistant from 2003 to 2017. Recently her title evolved to Church Office Administrator, which includes multiple activities that support the ministry and mission of our church. Her formal training is as a Registered Nurse and she brings that personal and compassionate touch to the front-lines of St. Andrew’s Presbyterian Church Streetsville. As the Church Office Administrator, Glenda is the person who keeps things operating smoothly and properly. She is the primary channel of communication between leaders and members of the congregation. As peoples’ schedules get busier and busier, Glenda’s major role is to enable people to serve Christ and the church in the most efficient and time-effective manner. From the booking of facilities and resources to the scheduling of important events and activities, Glenda is the one person to contact. Kiersten has been the Director of Music at St. Andrew’s Presbyterian Church Streetsville since 1997. She is an elementary school teacher with the Peel District School Board and teaches in Mississauga, Ontario. Kiersten provides leadership in a number of areas of the music ministry at St. Andrew’s Presbyterian Church Streetsville. She provides musical accompaniment on the piano and organ for our Sunday worship and she has, on occasion, also performed vocal and instrumental solos of various kinds. She leads the Adult Choir and assists in drama or other presentations. In addition to the regular Sunday music ministry, Kiersten provides leadership for special seasonal choirs that present cantatas and musicals in conjunction with our Christmas and Easter celebrations. The Finance & Maintenance Team is responsible for the ongoing operation of the church facilities. 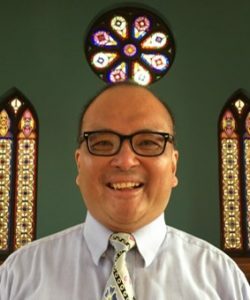 The current chair is Greg Tyrala and can be reached at FMChair@StAndrewsStreetsville.ca. Our youth team consists of: Heather Boyd, Margaret Lewis, and Dan Tyrala.